Bullards Beach State Park Campground is open year round and has 191 campsites for tents, trailers and RVs. 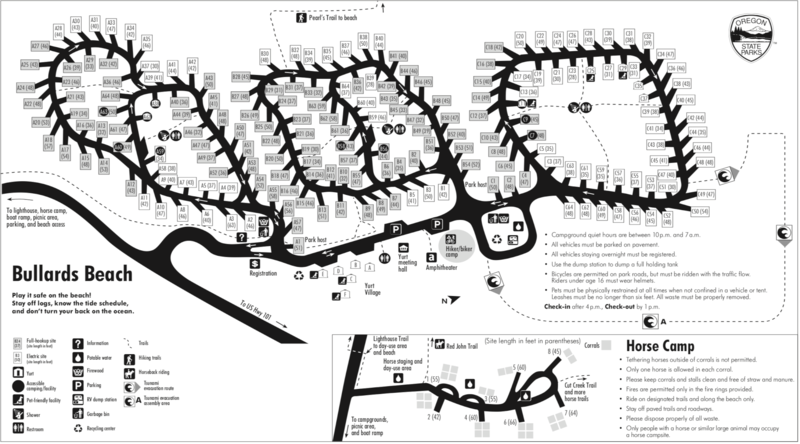 There are 103 campsites with full hookups and 82 with electric/water. The campground also has 13 yurt and 8 primitive equestrian/horse campsites that has easy access to the beautiful beach and dunes. Hiker/biker are also available. Campground amenities include drinking water, flush toilets, showers and a dump station. There is also firewood available for sale from the camp host. Each campsite also has a paved parking spur, table, fire ring, and grill. Check in time is 4:00 pm each day and check out is 1:00pm. 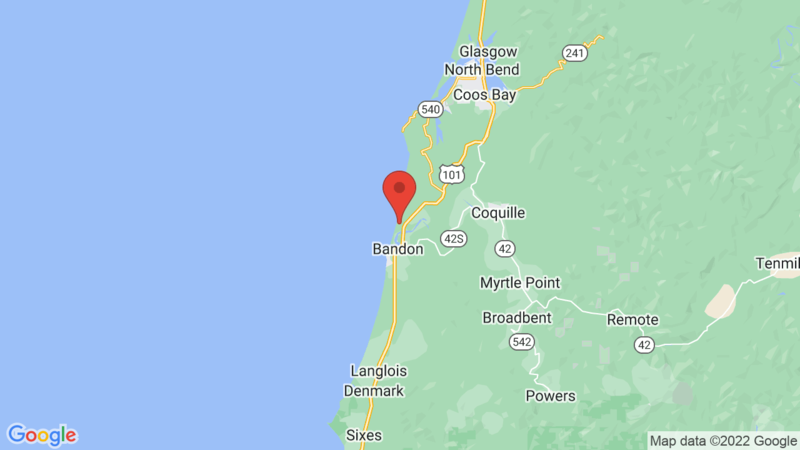 Bullards Beach State Park is just two miles north of Bandon and offers a variety of outdoor recreation activities including fishing and crabbing on the Coquille River, hiking, biking, boating, horseback riding, sand sledding, picnicking, canoeing, kayaking and wildlife viewing. And don’t forget to check out the historic Coquille River Lighthouse – at the end of Bullards Beach Road. Sunset Bay State Park is to the north and Cape Blanco State Park is to the south. Both are also on the coast. A3, A5, A25, A60, B20, B22, B35, B62, C22 and C40. Visted Bullards Beach State Park Campground lately? We'd love to hear about your adventure. Did you find us useful? Did we forget something? Anything our community should know before heading out to Bullards Beach State Park? Bullards Beach State Park check in is 4:00pm. Is there group camping available?